Sunday, January 7, 2018, 8:30 am – 12:30 pm. Donors will receive a $13 Noodles and Company coupon. Click Here to schedule your preferred donation time. You can also email MCJC member Haley Swanson-Markowitz with any questions through the Social Action email, socialaction@mcjconline.org. Write “Haley” in the subject line. Blood donors save lives! Be a lifesaver and sign up for our blood drive! The Sages of old spoke of Shabbat as a glimpse of the World to Come. A gift to us human beings from the Treasure-house of HaShem, The Divine. All are welcome to a special Shabbat Service and a Kosher Shabbat dinner at the home of MCJC members Steve and Sharon Danzig. Steve and Sharon will prepare a traditional Kosher chicken dinner, just like Bubbe used to make, but even better! All you need to do is to RSVP by Friday, January 12, 2018, so that they can plan. Please RSVP to ​815-455-1810 . As with all Diamond’s events, this one is open to the entire congregation and their friends, and friends of their friends. 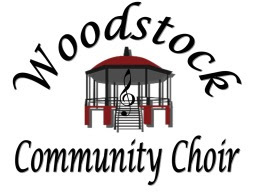 After brunch and our meeting at MCJC, we will all car-pool to the Woodstock Opera House for a free program of the Woodstock Community Choir, and their presentation of: “How Far I’ll Go – A Salute to Modern Musicals,” which will run from 3:00 pm to 5:00 pm. This concert is sponsored by the Friends of the Woodstock Opera House. Donations in support of the Woodstock Community Choir are welcome. Please RSVP to Bruce Weiss at diamonds@mcjconline.org. 6:30 pm: Shabbat BaBayit – All are welcome to a special Shabbat service and a Kosher Shabbat dinner at the home of MCJC members Steve and Sharon Danzig. More info to follow. 9:30 am: Special Heart of Torah Shabbat Morning Service, Discussion & Kiddush. Please see also the MCJC Calendar on this site. The MCJC Social Action Committee is seeking volunteers to help prepare and/or serve a meal the fourth Wednesday of each month through April for the homeless of McHenry County at the Woodstock Emergency PADS Site. The Woodstock Emergency PADS Site is Redeemer Lutheran Church 1320 Dean Street in Woodstock. Food donations need to be brought to the Woodstock Emergency PADS Site at 6:00 pm, and dinner is served between 7:00 pm and 8:00 pm. Monetary donations for this important endeavor will also be greatly appreciated. For more information, please check our calendar on this site. Dreidel & Menorah Decorating, Hanukkah Trivia, Hannukah Bingo, Dreidel Twister, Yummy Latkes by The Latke Men, and a Professional Magician!!! Habitat for Humanity believes that everyone should have a decent, safe, and affordable place to live. We build and repair houses all over the world using volunteer labor and donations. To aid in this, the MCJC Social Action Committee is coordinating volunteer efforts with the local McHenry County Habitat for Humanity group. We volunteer on Wednesdays at the work site (locations change depending on build schedules). No construction experience is required, only the desire to help. We are supervised by experienced personnel. All tools and safety equipment are supplied by Habitat. For a look at some of the projects we are currently involved in, please Click Here. If you would like to volunteer, please contact Howard Frank through our Social Action address, socialaction@mcjconline.org. Write “Howard” in the subject line.